CPPS-GMU is situated in Bulaksumur area, north to Yogyakarta City. 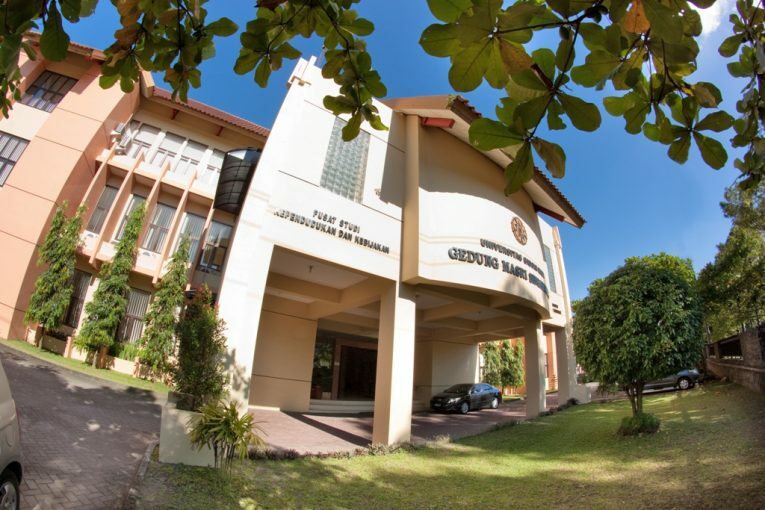 Pretty close to Gadjah Mada University Head Office Building, CPPS-GMU Head Office is located on Masri Singarimbun Building on Tevesia Street. In this two-floor building, research, education, publication, and administration activities are centered. This building has various facilities including staff rooms, meeting rooms, auditorium, computer room, classrooms, library, bookshop or publication corner, and dining room. Since August 2004 this building is also used for lecture activities of the Master Program of Policy Studies. CPPS-GMU Library is one of most important facilities of the Center and even plays major role in magnifying its name. Being popular as “Population Library”, this library is widely recognized as an important place for the capacity enrichment and strengthening process of CPPS-GMU members as well as non-members who wish to study population issues. To support research, workshops, and training activities, the library plays an important role in preparing literature relevant to respective activities. Therefore, the collections need to be updated on a regular basis. In end of 2012, the quantity of library collections was 20 thousand units which consist of 17,564 book titles, 4,278 reference titles, 1,517 research report titles, 408 scientific magazine and journal titles, and others. In accordance with the information technology development, the library also develops its own online catalogue service facility. In end of 2011, it was further developed by using new software Senayan Library Management System (SLIMs) which still utilizes local connection in the library circulation room. Currently you can access the collection of library through online at http://lib.pskk.ugm.ac.id/ or http://cpps.ugm.ac.id/. The statistic data of its book collection and visit rate is shown by the following figure.